Campus has been pretty quiet over winter break and LSC is excited to welcome students back for the spring semester. We hope this break provided students a chance to relax and come back to campus feeling rejuvenated. This semester will be the first for some LSC students, and the last for many of our seniors. But for all, the new semester brings a variety of exciting opportunities. LSC’s newest Lecturer, Madeline Fisher! We would like to extend a warm welcome to LSC’s newest Lecturer, Madeline Fisher. Fisher is joining us this spring and will be teaching LSC 560: Scientific Writing. This course teaches graduate students in scientific fields to effectively write complex current issues such as climate change, vaccination, and gene editing. These topics have not only scientific and technical dimensions, but also ethical and social implications. Fisher is a science writer and editor. 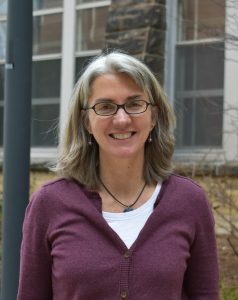 In the past, she has written about science and research for both scientific and public audiences in various academic and nonprofit settings, including UW-Madison and the American Society of Agronomy, Crop Science Society of America, and Soil Science of America. She has experience in writing about nearly all areas of science and technology, but her favorites are the environmental and agricultural sciences. “I’m very excited to be joining the LSC department and teaching LSC 560 this spring. It’s great to be back on campus teaching students and immersed in the UW-Madison culture once again.” says Fisher. Prior to becoming a writer, Madeline earned a Ph.D. in the UW-Madison botany department. She then spent two years as a postdoc in the field of molecular microbial ecology, eventually writing a successful National Science Foundation proposal that launched a new microbial research initiative at UW-Madison. “We are excited to have Madeline Fisher join the instructional team at LSC. She brings a lot experience in the science writing field and will be able to provide ample amounts of techniques that will prepare them for success.” says Dominique Brossard, LSC Professor and Chair. Stop by 335 Hiram Smith Hall to Madeline Fisher give a warm welcome to campus!